Cambodia is a kingdom located in the Southeast Asia region called Indochina bordering with Vietnam, our previous destination. 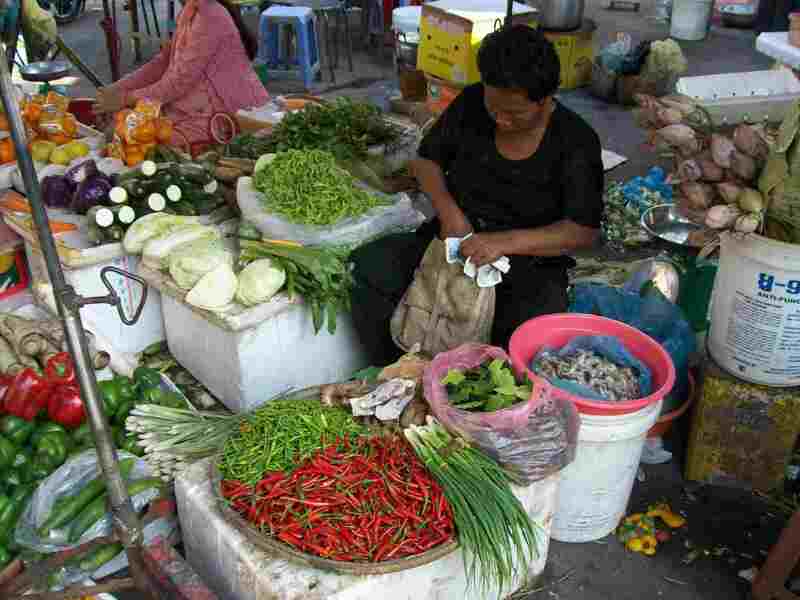 Cambodia is considered as the poorest country in the Southeast Asia and many tourists do not even go there. We want to break this habit and we will be happy to do so because Czech people have relatively close connection to Cambodians. Their king speaks Czech! He used to study at a university in our country and we were told that Cambodians like the Czech Republic because they worship everything their king likes. We will see whether it is true or not. Vacation in Cambodia is a dream of every Buddhist minded person. Though we are not Buddhist we accept this religion to a point and therefore we cannot wait to become a part of the local history and see its nice sites. 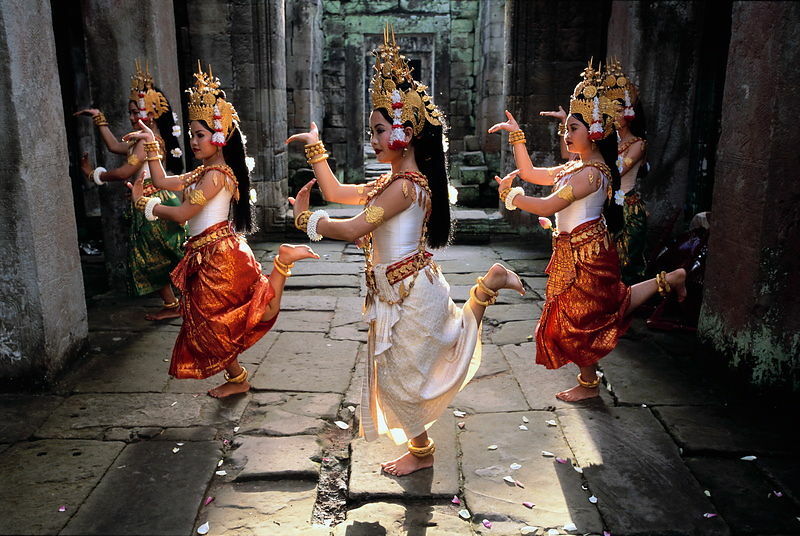 Among the attractions in Cambodiais the behavior of the Cambodians. It is rumoured that their hospitality and decency is never ending. They share money for building the temples even though their income is very small. The history of Cambodia was full of battles and we can say that today is a time when people actually live in peace but also in real poverty and inconceivable living conditions. Travelling in Cambodia is mainly about three destinations for us, then we plan to transfer to neighboring Thailand by using the local transportation. First place we plan to visit within our trip around the world, is the capital city of Cambodia – Phnom Penh, laying on the shore of river Mekong. Here we want to experice the real and genuine atmosphere of an Asian metropolis. But we shouldn’t miss the local markets and the Cambodian cuisine. Cambodian or Khmer cuisine is influenced by Indian and Chinese cuisine but there are still remnants from the time of colonial rule by France. Meals are mostly light and easily digestible which is fine in warm weather. Besides gastronomical experiences we do want todeprive ourselves of the historical sites in Cambodia. We will visit local temples and shrines and if have enough time we would like to journey and help in a Cambodia elephant sanctuary in Mondulkiri province. From the capital city we set out to the well known tourist destination Battambang. And for the first time we will try to transport in Cambodia.Transportation in Cambodia will be a great test and experience at the same time. Thanks to local infrastructure and thanks to low technological advancement we will focus on local cabs called tuk-tuk. Prices for this means of transport are very reasonable and the most important is that we can get everywhere we want to go. And on long distances we will use buses as in the case of Angkor Wat and Siem Reap. Buses are only one of the options of how to get to Siem Reap. Some people use the boat services to get there. Siem Reap is an area full of many architectual jewels and references to remote history. In this part of the country we would like to spend a few days and visit around ten local temples and other historical sites. 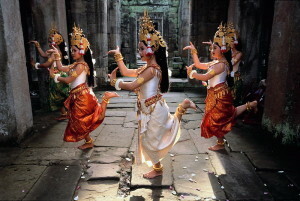 Among the most known historical sites in Cambodia belongs the temple complex Angkor Wat. 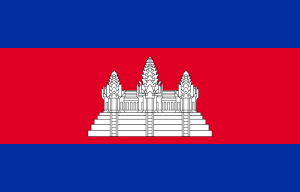 The temple is also pictured on the Cambodian national flag. Because Angkor Wat is such a huge complex it is recommended to rent a bike and have more fun and comfort while exploring this historical place. From Siem Reap we have to get to our next destination which is Thailand. We were told that officially there are regular both ways bus transportation services, unfortunately you have to still get off the bus in Poipet and go over the border on foot and get a bus in place called Aranyaprathet. We hope that it will be changed till 2015. Soum-Sva-Kuhm Mork Kam-pu-chea! Welcome in Cambodia!